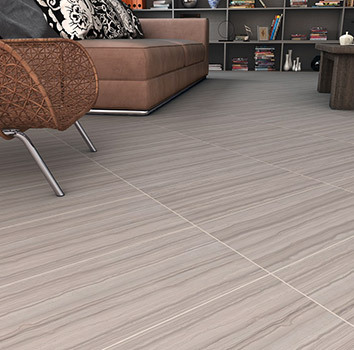 Porcelain has become one of the finest flooring products that you can use for any surface. With todays technology, porcelain designers and manufactures have created some of the most realistic detailed products in the world; capturing the tones, colors, textures of all the natural products available. From wood planks to a high polished marble, porcelain has become the number one selling product in todays market. Porcelain has successfully become the material of choice for todays demanding homes where style and design meets practicality, making it a true sophisticated quality product. Its high quality body structure creates a non porous material making it one of the healthiest and safest anti-bacterial material to use in your home.